We will all agree that we love our cats and are willing to spoil them as much as we can. 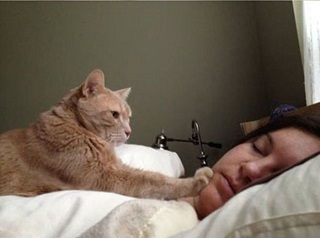 But one thing is true; nobody likes to be woken up every day before sunrise, even if that cute little guy is the cause of it. 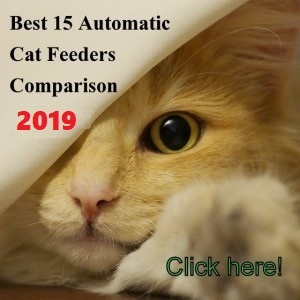 If you are getting to your work tired with dark spots under your eyes because of your cat’s natural eating schedule, it is time to get an automatic cat feeder that will do the job for you. You won’t believe the improvement in your life’s quality with this change. When getting one, make sure to place the unit away from your bedroom because the sound of the kibble falling on the bowl may still wake you up :-). 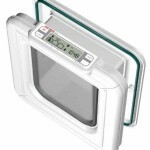 If your cat used to go through the pet door smoothly and now it needs to squeeze its way through the door or even worse, if your cat broke the pet door (as seen in the image), it means your cat is getting overweight and needs to be put on a diet. This is just a funny example :-P. On a more serious note, having an overweight cat is one of the main signs that you need to start feeding your feline with an automatic feeder. If you want to determine if your pet is getting overweight, you need to feel its ribs when petting him/her. If you can’t feel them, it means your cat is starting to get a little chubby and you need to put it on a diet. 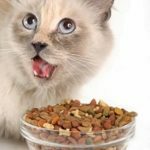 This is when an automatic cat feeder is the only option to control your cat’s food intake when you are at work because you can exactly control how much food you want your cat to eat daily and divide this amount in several small meals that you can program throughout the day. 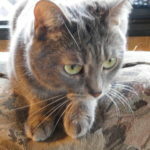 If you pour food in your cat’s bowl assuming that your husband never does it and your husband who leaves to work earlier thinks the same and feeds your cat as well, this is a situation that your cat is certainly enjoying. The miss communication of your family members about who feeds the cat and when it’s your pet’s best advantage because thanks to the unorganized schedule he or she is eating more. 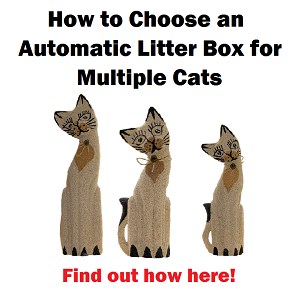 Leaving this task to an automatic pet feeder will make all family members know “who” is in charge of feeding your cat and those double-feedings won’t happen anymore. Result? family wins, cat loses weight. You got invited to an improvised dinner or maybe some of your co-workers or friends want to do something after work, but you can’t go because you know you have a little guy at home, waiting for you and probably “starving”. 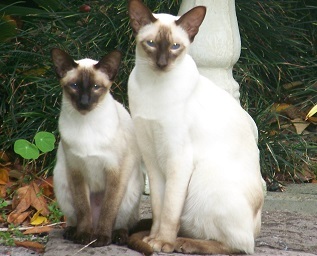 Some cats eat the whole daily portion in one sit and then they starve by the evening. The cat has diabetes and needs to eat small portions throughout the day. If you are experiencing any of the above situations with your cat you already know it’s not a good idea to free feed your pet. This situation makes you worry about feeding your pet as soon as you get home if nobody can do it for you. When you worry to make it home thinking about your cat, is time for the automatic feeder to enter. Nowadays you have very cool options in automatic feeders to solve this problem. The market offers devices that you can program from your PC, Tablet or Smartphone improvised extra meals for later or simply manually pushing a feeding from your Smartphone while you are enjoying yourself at a piano bar, for example. 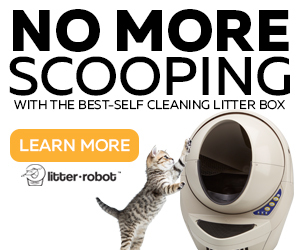 Even better, these devices allow you to see your pet when eating via Web cam. 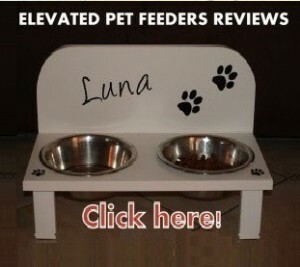 One of these feeders is the “Feed and Go” automatic pet feeder that offers excellent features to cat owners. A real problem begins if you have one cat that is eating the other cat’s food. This usually happens when one of the cats is dominant and does not want to share the food. The consequence of this situation can be dangerous for the “bullied” cat to the point of suffering malnutrition. A selective automatic feeder such as the SureFeed Microchip feeder will allow only the skinny cat to open the feeder and eat. 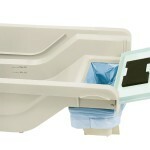 The system is designed in a way that the dominant cat won’t be able to access the food. 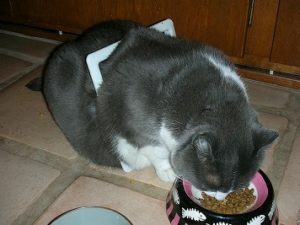 Usually this is achieved by putting a collar tag to the allowed cat that will trigger the automatic pet feeder to open. 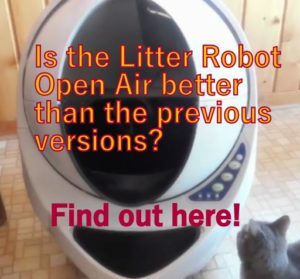 Selective automatic pet feeders are also a good option for people who has a cat and a dog and the dog eats the cat’s food. 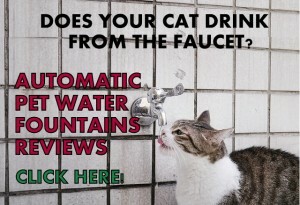 If you see any of these 5 signs, it’s time to do yourself and your cat a favor and get one, you won’t regret it. 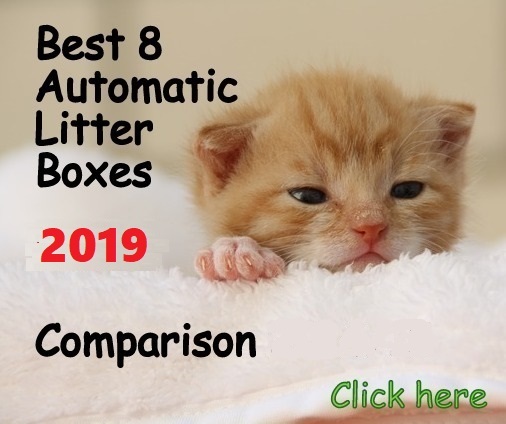 There are several good brands in the market, research in-depth automatic feeder reviews and get the best unit for your feline friend.